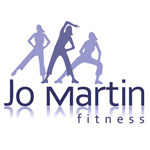 I am really pleased to say that www.jomartingfitness.co.uk is launched. 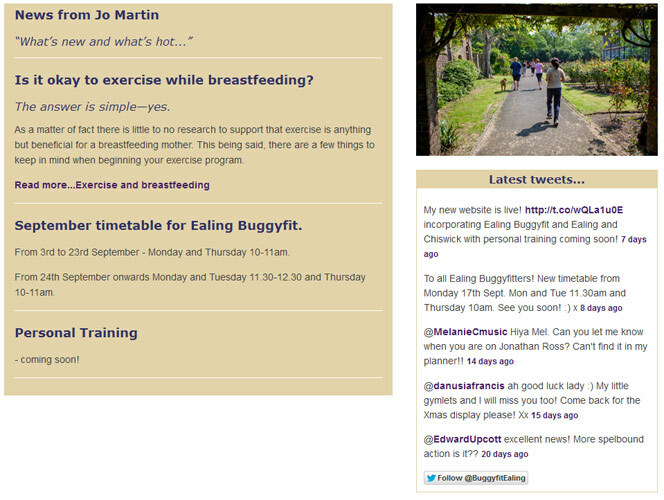 Jo runs pre and post natal classes for mums and mums-to-be in the Ealing and Chiswick areas. 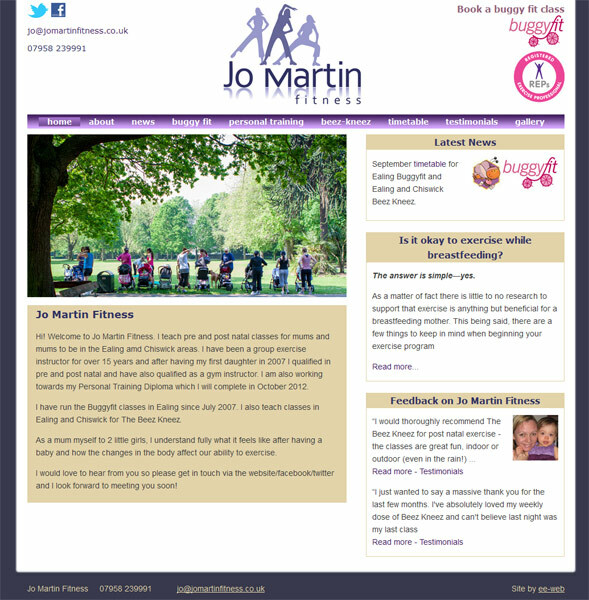 Jo came to me via a recommendation from another client – so I was especailly pleased to work on her new website. My website www.jomartinfitness.co.uk has just gone live and I couldn’t be happier! Edward is great to work with, good natured, flexible and patient, he has also been great in helping to recommend a logo designer, web hosting company, company to help create email lists….all great for a first time website owner like myself! You really can’t go wrong with ee-web design! When Jo “arrived” she didn’t have a logo, so I asked a designer I work with to create one for her – and very professional and stylish it is too! I used the logo colours to create a colour palette for the site, and gave Jo several designs to choose from. 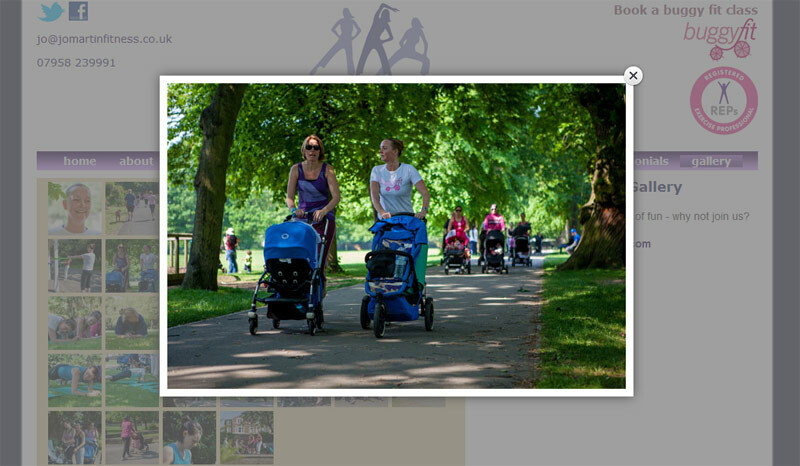 One of the mums took the photos so the site is full images of the real thing, rather than stock photography showing the usual, generic, dull images of super slim mums with neat little bumps that look like photoshop has saved the day …… I think the site is much stronger for them. 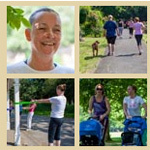 Once again the site is based on the content management system know as “Joomla”, since Jo naturally wants to take control of the day to day running of the site herself. I usually like to meet my clients if possible. However, I have never met Jo – the whole process has been carried out via email and the occasional phone call. Even the training will be via skype! As well as being constructed to be SEO friendly, easy to maintain and logical to navigate, Jo’s new site was designed to be easy to grow as her business expands. Phase two for the site is already being planned,with the addition of a mailing list. 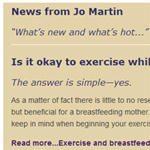 Its been a pleasure to work with Jo, and I look forward to supporting her with the site as it develops!